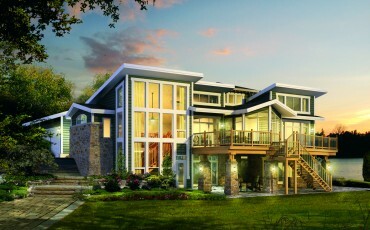 JayWest has 80+ designs to serve as a starting point for your unique custom home. Browse, pick models that you like, and then start the design process with us. 1000 - 1500 sq. ft. 1500-2000 sq. ft. 2000-2500 sq. ft. 2500+ sq. ft. Under 1000 sq. ft. 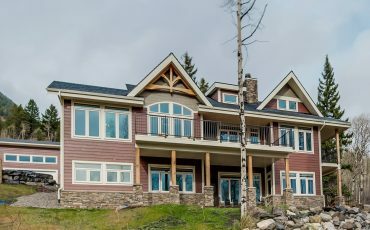 This design features an open concept living area with stunning fireplace and main floor master suite. 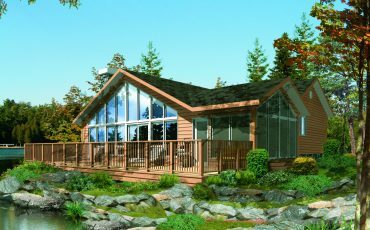 This design features a four-season sun room, open concept kitchen, and vaulted ceilings. 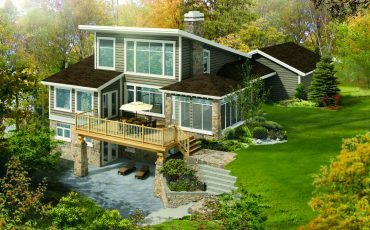 This modern design features a great room with a stunning fireplace and spacious outdoor living area. 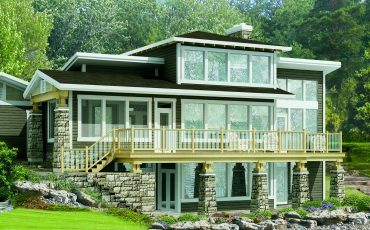 This design features a vaulted great room with floor to ceiling windows that carry straight down to the lower level. This contemporary design open-concept main floor living area, with two bedrooms and a spacious rec room below.